Professor Kazuya Yoshida from Tohoku University will visit our engineering school on Thursday afternoon, 9 March. 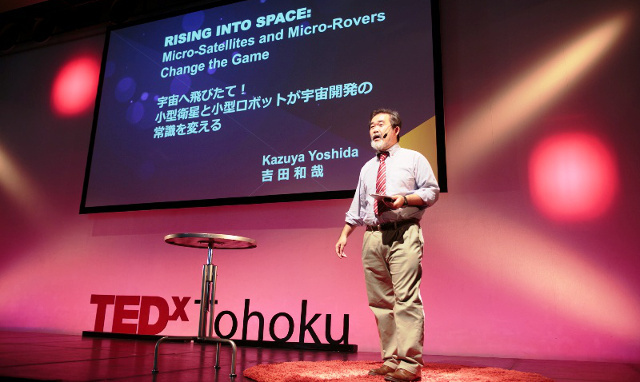 His field of expertise is robotics research for aerospace, and he is leading the Space Robotics Lab (Space Exploration Lab) at The Tohoku University. He will meet with colleagues from the LAM (Laboratoire d’Astrophysique de Marseille). Professor Yoshida has agreed to supervise for his PhD thesis one of our students who will join Tohoku University in September 2017 as part of the Double Diploma program between the University of Tohoku and the Ecoles Centrales Group.